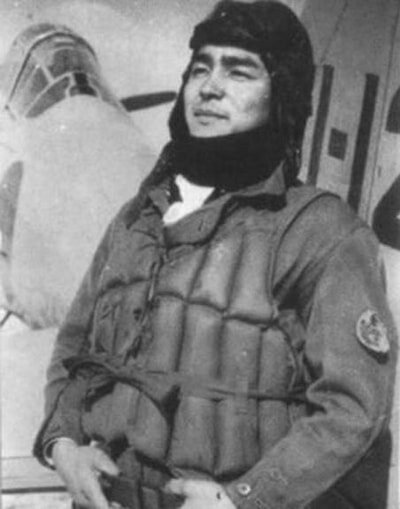 Warrant Officer Hiroyoshi Nishiziwa, Imperial Japanese Navy. 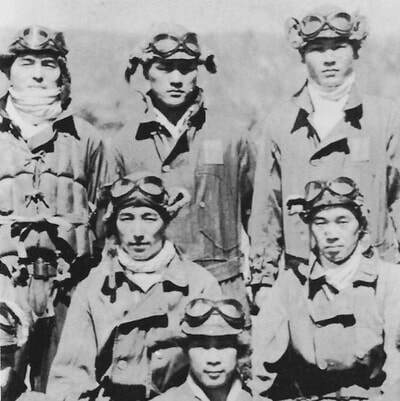 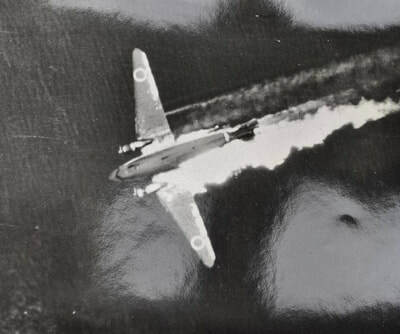 In late 1942 a W/O Hiroyoshi Nishizawa and his wingman in Japanese Navy Type O A6M3 Model 22 fighters fly over the water with the setting sun behind them. From the attack on Pearl Harbor to the end of WWII the A6M "Zero" fighter took part in almost every major air operation involving the Imperial Japanese Navy. Some sources list as many as 150 victories for Nishizawa. 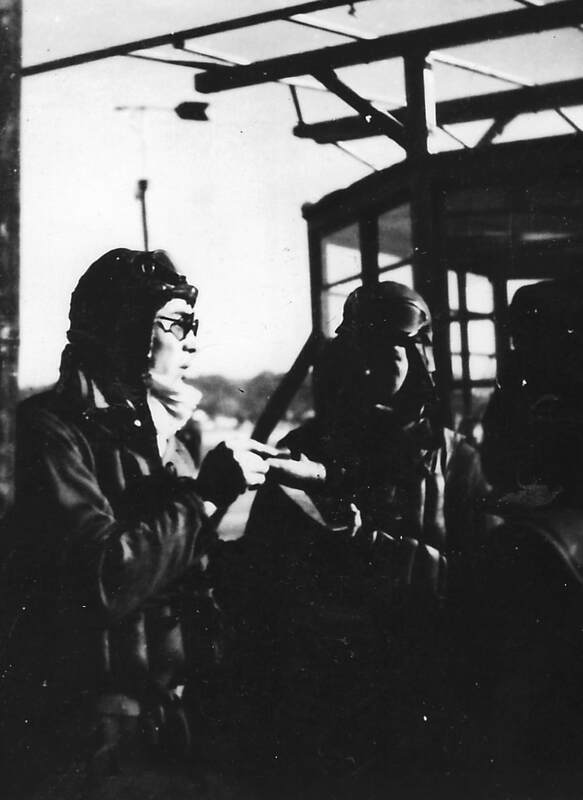 It is generally believed that he scored at least 87 victories. On October 26, 1944 he was killed in the crash of a transport plane en route to Mabalacat from Cebu Island. Open Edition Canvas Giclée Print. 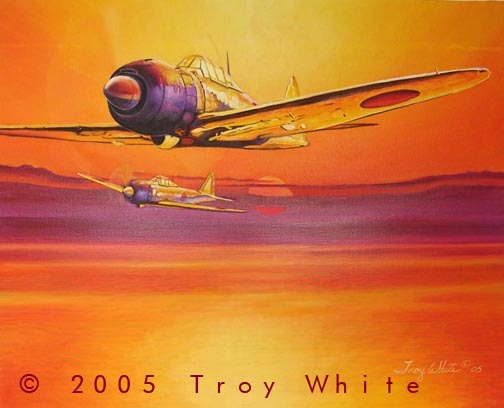 Image size: 20"x16"
In late 1942 a W/O Nishizawa and his wingman in Japanese Navy Type O A6M3 Model 22 fighters fly over the water with the setting sun behind them.